August 2014 - Read. Think. Act. I loved this book! For so many reasons. 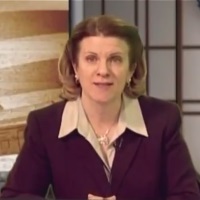 Brigid Schulte is a reporter for the Washington Post. She lives here in the DC area and many of the experts she consulted are local to where I live. I know her commute and her community, which gives this an authenticity that may not resonate with every reader but it’s real. 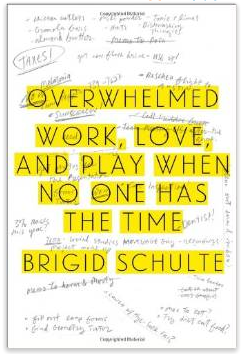 What will resonate with all readers is the concepts she speaks of: “Living in the Overwhelm,” “Time Confetti,” “Frenetic Families,” “The cult of intensive motherhood,” “Extreme Facetime workplaces,” “Ideal Worker Workplaces.” Naming these things we *feel* crystalizes them into concepts we can talk about. And talk about them we must! There are so many quotes from this book, so many passages that deserve their own callout boxes, that I could spend hours doing just that. But I won’t because I want people to read this book. “Know that humans have evolved to conform and fit in with the group. And know that right now the group isn’t clear on what it wants you to do. Embrace whatever it is you’re doing, whatever you’ve chosen, with passion and see where it leads then adapt as you go.” In the end, we’re not only torn by external demands and expectations but our own ambivalence about what we want from our love relationships, our family life, our careers and our inner life. Everyone would benefit from reading this book because we all need to change our thinking in whatever role it is we are playing – and we all play many roles every day. We are creating the future path for our children and the generation that comes behind us. We should feel that burden and strive to leave a better legacy. Subtitled: Dispatches from America’s Class War. This book is still relevant and important despite it’s publication date of 2007. 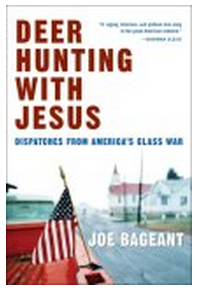 Joe Bageant wrote this before Obama was elected, but the vast majority of what he has to say is still very true. Some of it has been true for hundreds of years. I saw myself in his stories and I saw the people I grew up with too. Bageant is a born again Virginian. He’s a native of Winchester who spent four decades in Oregon and found enlightenment. He returned to his hometown and childhood friends in the early 2000’s and chronicles what he sees as the great political divide that keeps the most disadvantaged among us at the bottom of the food chain. I don’t agree with every conclusion he comes to and some things have changed a bit with Obama in the White House. If anything, it’s heightened, sharpened and widened the gap between liberal and conservative thinking in this country. We are even more polarized than we were 8 years ago. Joe is a great storyteller and he appreciates a well turned phrase. There are numerous “quotable quotes” that resonated with me. He points out that “Slightly over half of all the poor people in the United States are white. Poor whites outnumber all other poor minorities combined . . . There are at last 19 million poor and working poor whites and the number is growing. By the way, most poor people work. About one half find employment for at least half the year. Public assistance accounts for only one quarter of the income of poor Americans.” I don’t know the numbers in 2014, but the recession only made those numbers worse.